The Belfry Hotel & Resort showed its support for the revered Battle Back Golf Programme as it played host to the third annual Battle Back Championships, where injured service personnel competed for top golfing prizes at the world’s only 4-time Ryder Cup host venue. 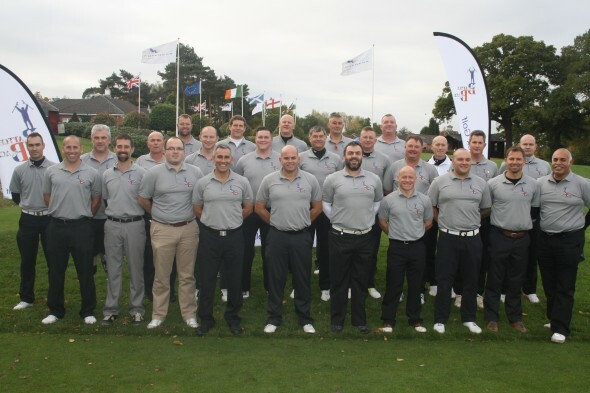 The two-day Championships took place across the renowned Brabazon and PGA National courses at The Belfry, which provided the perfect golfing terrain to challenge the 40 former service personnel looking to become the 2015 Battle Back Champion. Competitors were then treated to the first class hospitality of The Belfry Hotel, where they stayed overnight and experienced the impressive dining options on offer. The Battle Back Golf programme was founded in 2009 with the goal of using the sport to aid successful physical and psychological rehabilitation of injured service personnel. The annual Championships provide the opportunity for these individuals to compete across two days of intense competition over world class layouts, an aspect of life that can be less accessible. The event was also supported by YourGolfTravel and The PGA, with Chief Executive, Sandy Jones, in attendance to provide his backing to the programme.